Win Free Film Festival Passes! Remember the All Roads Film Festival we featured yesterday? 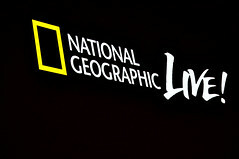 Well, National Geographic has graciously provided WeLoveDC with two free festival passes to give away! The pass includes admission from Tuesday 9/28 through Sunday 10/3 to all film screenings, the photo exhibits, panels, and Saturday’s Basement Bhangra Dance Party. Want to go? Simply comment below, using your first name and a legit email address. We’ll randomly draw two winners (one pass per winner) tomorrow (Friday) at noon, so tell your friends and sign up! I heart the Banff Mountain Film Fest and would like to visit the All Roads Festival! I’ve already picked out the film I want to see!